The Rest of the Story: On December 12, 2014, a Polk County jury sentenced 20 year old Caleb Edwards to 10 years in prison for the December 2012 automobile accident that claimed a brother and sister. 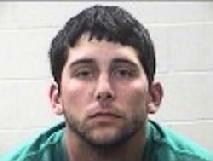 Edwards at the time was driving his friends truck, and was furnished alcohol by his friend, Kalen Peters. So what happened to Kalen Peters? On December 15, 2014, Kalen Wayne Peters, 23, of Livingston, pled guilty to the offense of tampering with a witness and was placed on felony probation for ten years. He was also fined $2,000 and ordered to complete the customary terms of probation, including community service. The charge arose out of events surrounding the recent intoxication manslaughter conviction of Peters' friend, Caleb Luke Edwards. On December 8, 2012, Edwards (18 years of age at the time) spent the afternoon wit Peters working at the local cattle auction barn. After leaving work, the two proceeded to Peters' house and then to the Livingston Christmas Parade. Edwards eventually admitted to drinking 4 to 5 beers and at least one shot of whiskey. After returning from the parade, Edwards borrowed Peters' Dodge Ram 3500 flat bed truck and left Peters' house in the subdivision of Forest Springs off Highway 146 South, apparently to purchase more beer. Edwards traveled less than one-half mile (north-bound on 146) before crossing the center stripe, killing Jacob Kleine and his sister, Tiffany Semons-Lewandowski. Edwards escaped the wreck with minor scrapes and bruises. An analysis of Edwards' blood, taken two hours after the crash revealed a blood alcohol level of 0.085. Expert testimony at Edwards' trial indicated his likely content at the time of the crash was 0.095 to 0.12, depending on whether his last drink had entered his system by the time of the wreck. While current Texas law defines intoxication as anything above 0.08 recent scientific research and testing supported by the American Medical Association suggests lowering the limit to 0.05. Peters drove to the crash site after being called by Edwards. At the scene Peters was handcuffed by a Polk County Sheriff's Deputy after ignoring commands to desist from attempting to remove evidence. Peters also approached a witness, Aaron Todd Davis, a life long friend of Peters, and offered him a large sum of money, reportedly $1,000, to give a false statement about the wreck. Davis did, in fact, sign a statement claiming that Edwards was driving on the right side of the road. Some days later, after talking to a friend about what he had done, Davis contacted law enforcement and corrected his statement, verifying that Edwards was driving on the wrong side of the road, and that Peters had flashed a large roll of money, offering to pay him for the false statement. Davis denied taking any money. Davis is a person known to local law enforcement. On July 1, 2014, Davis was placed on five years probation for a charge of theft, stemming from an incident on March 9, 2012 in which Davis was originally charged with Robbery. At the time of Edwards' trial in early December, 2014, Davis had stopped reporting to probation and could not be located. A warrant is outstanding for his arrest. Investigation of the intoxicated manslaughter revealed that Peters had supplied Edwards with alcohol on other occasions and that Peters had often allowed Edwards to drive his vehicle. On May 17, 2013, a Polk County grand jury indicted Peters on the charge of tampering with a witness and on the charge of manslaughter for allowing Edwards to drive his truck after he had furnished him alcohol. As part of a plea entered on December 15, the State dismissed the manslaughter indictment. First Assistant District Attorney, Joe Martin, said the manslaughter charge was dismissed with the knowledge and concurrence of the victims' family. Sparing them the anguish of another trial was a major concern. Offering probation to Peters was a concession to the difficulties in relying on the appearance and testimony of Davis. "Holding Mr. Peters responsible for his conduct was very important to us and the family. His actions were reprehensible. If he chooses not to take this opportunity for rehabilitation then I am sure the Polk County District Attorney's Office will vigorously pursue revocation of his probation" Martin said. Martin further stated that while Davis could be charged for his false statement, "we do not want to discourage people from coming forward and telling the truth. Charging Davis might have that unintended consequence". Edwards was convicted of intoxicated manslaughter last week and sentenced by a jury to ten years in prison. He will serve five years before being considered for parole. Granting of parole is not guaranteed and is determined by the Texas Board of Pardons and Paroles.